This event will be held at Amsterdam, The Netherlands on October 5th, 2017 parallel to the European Utility Week. It offers the opportunity for energy experts, policy makers and other interested audience to gain more information about the WiseGRID Project (funded by the European Union’s Horizon 2020 research and innovation program). 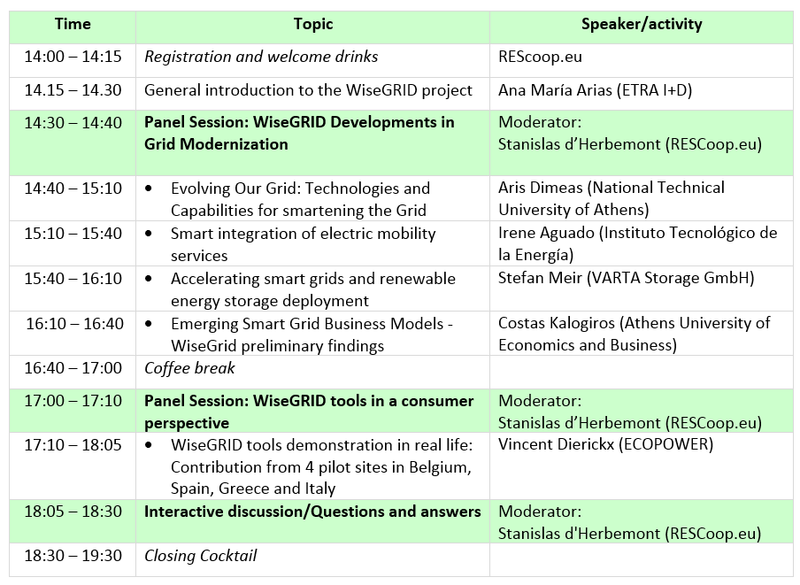 The WiseGRID European workshop focuses on innovative solutions, technologies and business models to increase the smartness, stability and security of an open, consumer-centric European energy grid and to provide cleaner and more affordable energy for European citizens. This event intends to cover important topics within the project such as smart grid technologies, citizen’s empowerment, e-mobility, etc. The final panel debate will be highly interactive, with exchanges among the panelists as well as with the audience. Entrance is free of charge for all interested audience. The event takes place at the Old School Podium in Amsterdam.